Do we take a bus or do we walk to King’s Cross Station? I asked Sylvester. Hmmm, Odogwu that place no far naaa, let’s walk down to the place, it’s less than 5 minutes from here! 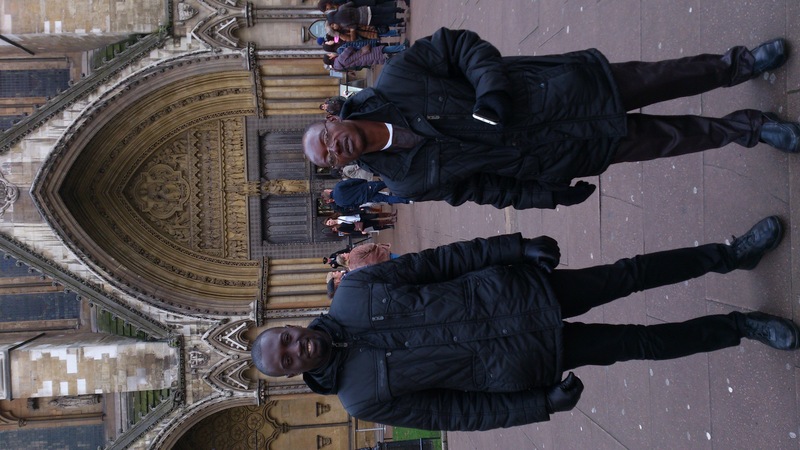 My colleague Sylvester and I had spent almost 2 weeks in London and it was time for him to go back to Lagos. We were in London together for a professional training program sponsored by our employer. His flight back to Lagos was for 8pm that evening and we planned to leave for the airport at around 3pm so that at most by 5pm, he must have checked-in and ready to leave. Leaving the hostel that afternoon, we had two large bags and I wanted to know if we were just walking to the train station or if we would use a bus. The bags were heavy and I would have wanted a bus! But Oga Sly as I always call him, felt it would be a waste of time waiting for one. We arrived The King’s Cross St. Pancras Underground Station from where we went down to the Piccadilly line which is Heathrow bound. In less than 15 minutes, we were Heathrow bound. 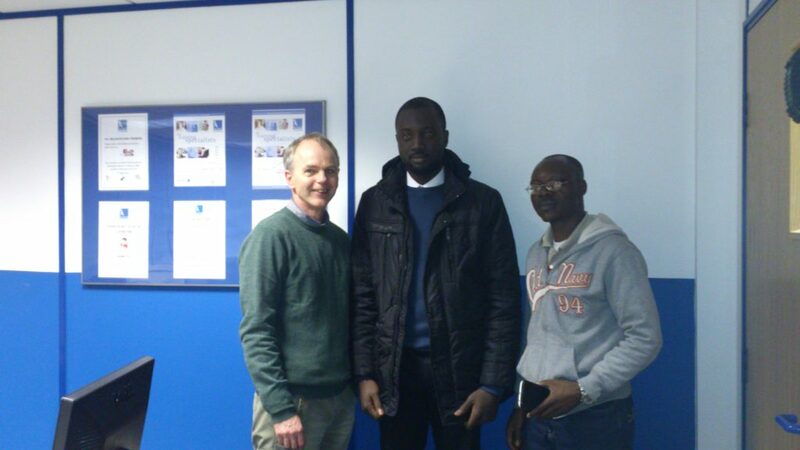 At the training Mr Andrew, Oga Sly and Myself. Mr Andrew took us on SUSE Administration. What a journey. What a time of reflection. I reflected on the different adventure we both experienced together all the way since we left Lagos exactly two weeks ago. It has been fun all the way. From the first day we landed in London. We had spent some very nice time together. It was an exciting experience that I would not want to forget in a hurry. I reflected on some of the events that happened when we arrived on January 4 which was a Saturday. We had arrived a bit late on a Saturday evening and we checked in at a hostel somewhere around Kings Cross station same night. We decided to rest that Sunday morning since we were still tired – especially myself because it was my first time of travelling outside Nigeria and I always liked going to church whenever I get to a new place…probably to see how people there worshiped. We however became a bit adventurous in the afternoon and decided to have a stroll to figure out where we would be having the training which was meant to be around Barbican and also see the city during the day. We set out for this journey to Barbican. Google Map was the tour guide and it made it all seem simple. We were not too conversant with the buses and the rail systems in London at the time. Google map gave us the impression we would only be walking for only 5 kilometers or less and hence, we thought it was a good thing to try out walking. We set out initially, followed the map religiously and we walked for more than 30 minutes to arrive somewhere we considered too close to our destination. On arrival, we however needed to ask questions since Google map was not giving us the exact location of the building. To our greatest surprised, the man we went into his shop to ask for directions started by asking us if we were from Nigeria. When we told him yes, he responded by telling us he was born in Nigeria, Kaduna to be precise and he lived there for almost 15 years before he returned to England. He asked us our tribes from Nigeria – at that point, I knew he was not lying! After spending some 15 minutes or so with the man talking about London, Africa and several other things, we left his shop, promising him we would come back for a visit – which we never did or remembered to do during our stay. Immediately we left that shop, we went straight to a building we considered to be our destination. Almost at a climax, we decided to go back to our hostel, since at least, we have seen enough sites in Central London – The Bank of London, London Bridge, Churches and several other things. I however noticed that the battery of my phone was almost running out and it eventually did after a few minutes. It was time to walk home and since we had arrived with the assistance of Google Maps, there was no way we could locate our way back home. We did not bother to take note of the route when we were coming. 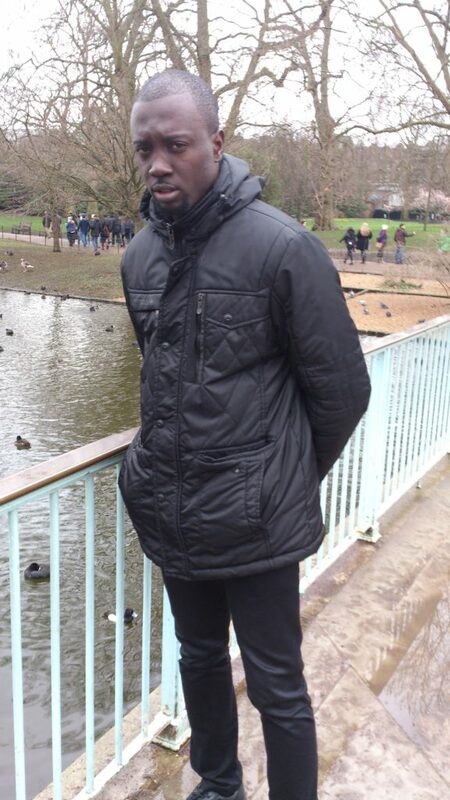 We spent more than 2 hours wandering the streets of Central London in a very cold weather. It was a very sad experience. At a point, we were pressed and wanted a place to urinate, this was in addition to the cold weather which was the first time in my life I was experiencing that cold. We were not sure of where to urinate and not get into trouble. At that moment, we appreciated Nigeria – at least we could urinate anywhere without being quizzed. London was different. Even though no one was looking at us but we believed the authorities will come after us if we dared pull out the thing behind the zip to urinate. The more we wandered, the more we got more frustrated. Even at a point we decided to stop a taxi back to our abode, none of them wanted to stop – we waved them down in vain. It was that day we knew that majority of the people on the streets of London were mostly visitors. We asked several people where we could urinate, get taxi or a train, and they simply responded that they too were visitors! God so kind, we saw a gentleman who was able to lead us to an underground station which was able to take us to a station where we got a train that got us to Kings Cross Station where we eventually paid 30 pence to urinate. Honestly, the kindness of the man who led us to the train station somehow affected taught me a lesson and that was to go out of my ways to help strangers in need. The man walked with us for almost 5 minutes before we arrived a train station and for me, if someone could go 5 minutes out of his way to help me, I could do better. Oga Sly called my attention to several other things that happened during our stay while we approached Heathrow. We had on the second Sunday during our stay decided to go find a church to worship in. We found several online but we decided to visit one of the Redeemed Churches which was close by. After the service, we were warmly welcomed by the church and we made friends with one of the ladies in the church. 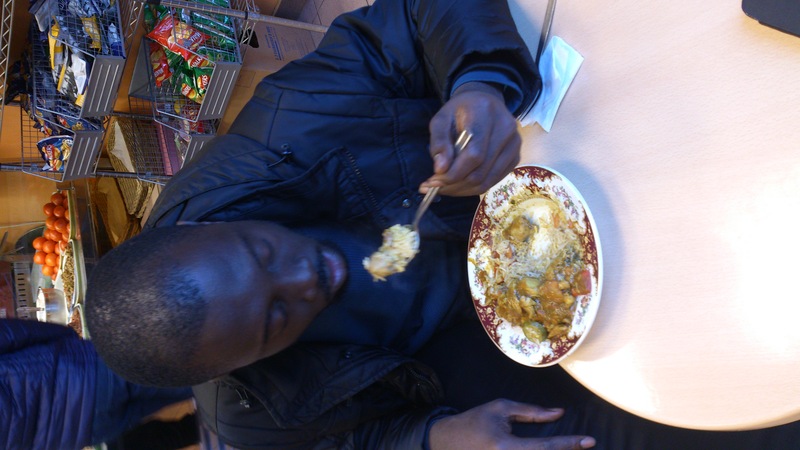 One of the first favors we asked our new friend, apart from asking where to buy things cheap, was to show us where to get good Nigerian dishes. She was kind enough to take us around the town and to Peckham, where there were lots of Nigerian Restaurants and ‘One Pound’ shops. He also called my attention to our touristic tour on the city of London. 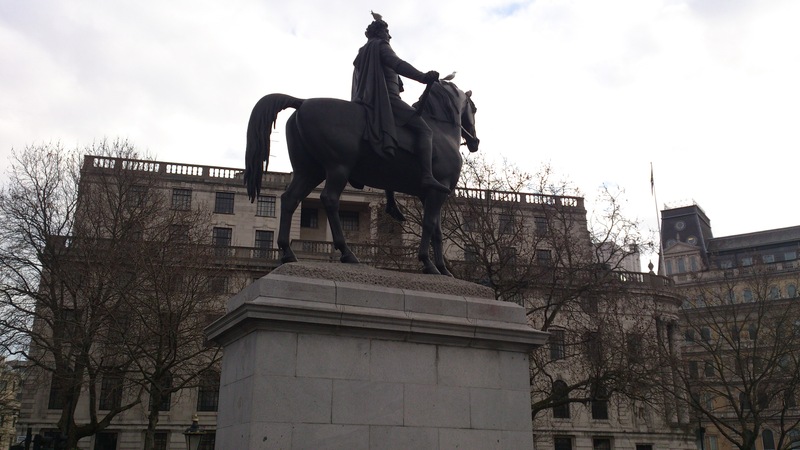 Our visits to different places, Buckingham Palace and several other places. While on all these thoughts, we arrived Heathrow Terminal 4, from where Oga Sly would be flying Arik Air back to Lagos. He was boarded after a few minutes. I got talking with one of the gentlemen there who was a Nigerian and was travelling that same day. He was complaining bitterly about his going back to Lagos which according to him, is against his plans. He lamented of how he has been struggling since his papers expired. How each of the 5 girlfriends he has had after his studies had left him when they found out his stay was illegal. I felt very sorry for him wished him well. It was then I left the airport back to Central London. I could recall meeting several other people who were there in London who neither had papers nor were there legally. In any case, my advice to people in this situation is to come home – you may not believe the opportunities there are back home. On arrival, I had to go and find another hotel as I would need to go for another training and this time around, it is in a different part of London. I could not find any hostel or anything close to cheap. It was horrible. For almost five hours, all the hotels and hostels I was visiting were busy telling me there was no room or that I would check back the next day. I was fortunate to eventually find something around 1 am in the morning which was 45 pounds or so for that night. In the morning, at the hotel, I noticed something at the hotel. It was run by Germans and they had several German guests. Unfortunately, neither the guests nor the staff of the hotel were as warm and friendly as the guests and staff of the other hostel (most of the staff and guests at the first hotel were French). This went a long way to influence me to learn French as a foreign language eventually as against German which I had wanted to learn before that trip. The events the previous night was an eye opener as per making hotel reservations in London. I learnt that as a visitor, you need to book your hostels or hotels beforehand for Fridays and Saturdays. This is because a lot of people are coming into town those days and failure to do so, may land you to pay almost double or triple to secure a place. 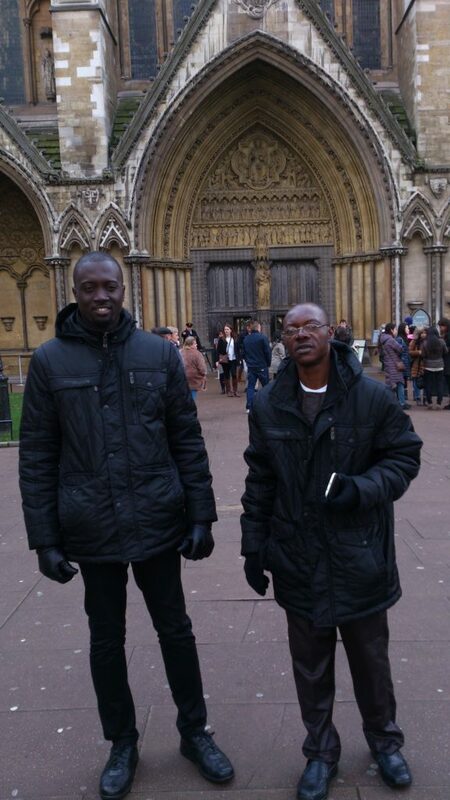 One of the weekends after Sylvester’s departure, one of my bosses in Lagos visited London for holidays. 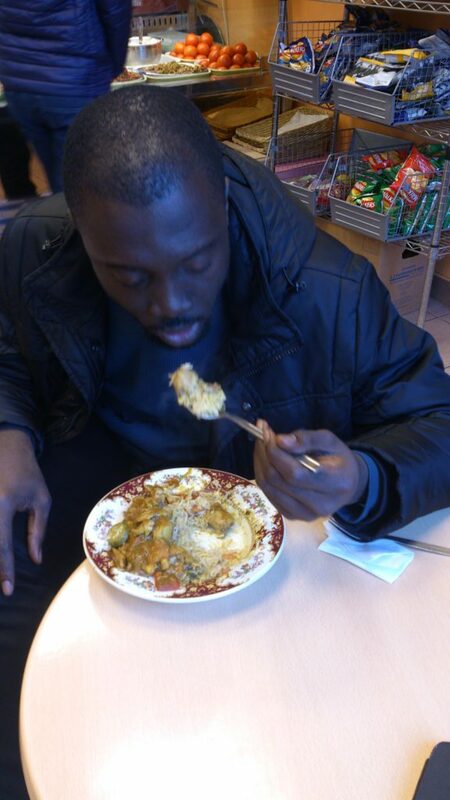 Adz, as we fondly call him in Lagos but his friend in London call him Kunle. I had told him I would want to visit him when he comes to town. The evening he was to visit, he called me to find out where I was and in less than 20 minutes, he was there to pick me. He took me to somewhere at Porto Bello Road where there were lots of his friends – who were mostly Africans were. My experience with this boss actually gave me a different perspective of who he was. A very kind jovial man he was. We discussed about Africa and colonialism in Africa, the possibility of having a better Africa and lots more. I also shared some of my experiences with them about London. My experience with the boss changed my opinion about him and people. I learnt that bosses are humans too and can be kind outside work. In any case, meeting Adz in London really made my stay in London a remarkable one. A few day afterwards, it was time to go back to Lagos. 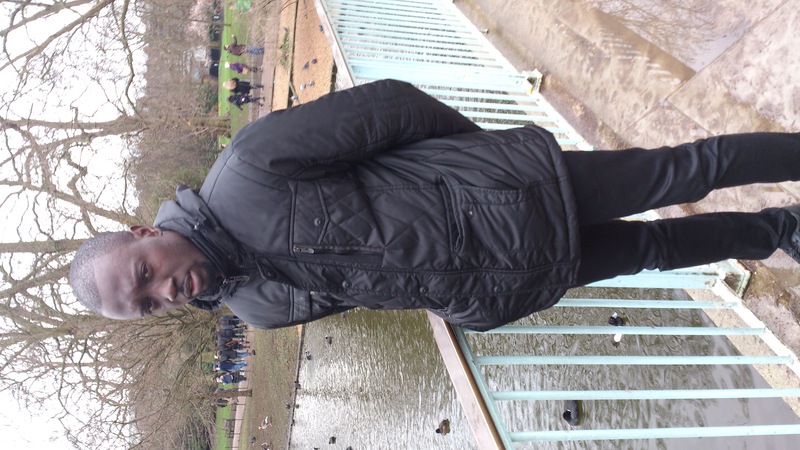 I really had a nice time in London. But at the same time, I made a mistake which I had always wished I never made. I went on a shopping spree. I bought something for almost everyone. I had almost three big bags which I could not move. Normally, if I were to go with train, I would not have paid more than 3 pounds to Heathrow from where I was but unfortunately, I had to call a taxi that charged me 50 pounds to drive me to Heathrow Airport. I eventually regretted the fact I spent a lot buying gifts for people. I would advise anyone travelling especially for the first time to avoid buying lots of gifts. Getting lots of gift could make you run out cash or even spend more when moving to the airport or get you in a situation that will warrant you to pay for excess luggage at the airport. In fact, it was sad I had to drop some of the things I bought at the airport before I could be allowed to board the plane back to Lagos. My luggage weighed more than required and it was insane paying 100 pounds for stuffs not worth 30 pounds. Also, the some of the people we trouble ourselves to buy things for when we travel most times do not think of us when they travel. So, it is not worth it, as far as am concerned. This was my first trip to London!